During Willamette's celebration of Rev. Martin Luther King Jr., students participate in Into the Streets, an annual community service project. Associated Students of Willamette University President Akerah Mackey-Watkins ’19 speaks to volunteers before they leave campus. 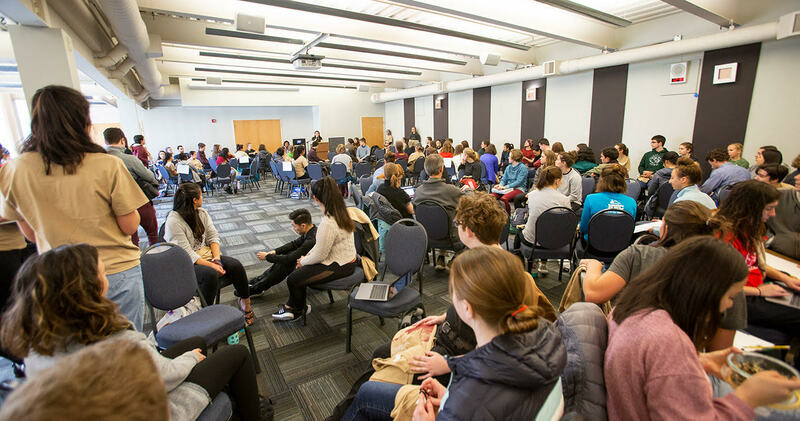 More than 100 students gathered in Montag Den to listen to speakers before they volunteered. 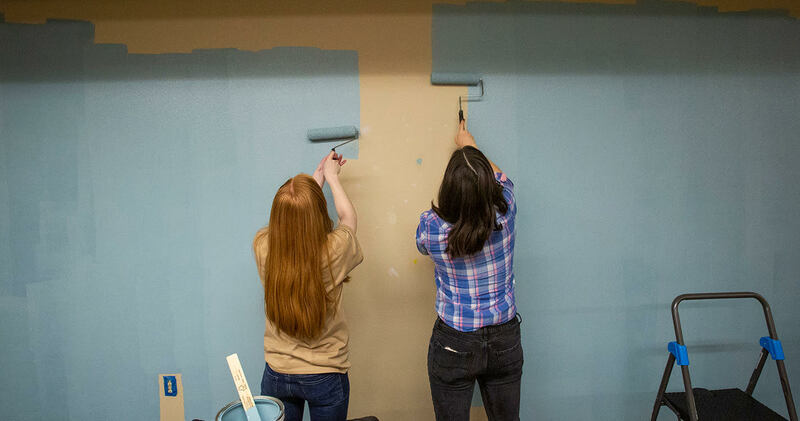 Students paint walls at the Family Building Blocks building in Salem. Students tidy up the front of the YMCA building in Salem. At the YMCA, students transfer books for a future sale. Willamette University celebrated one of the world’s greatest humanitarians last week through workshops, a faculty colloquium and volunteer work. 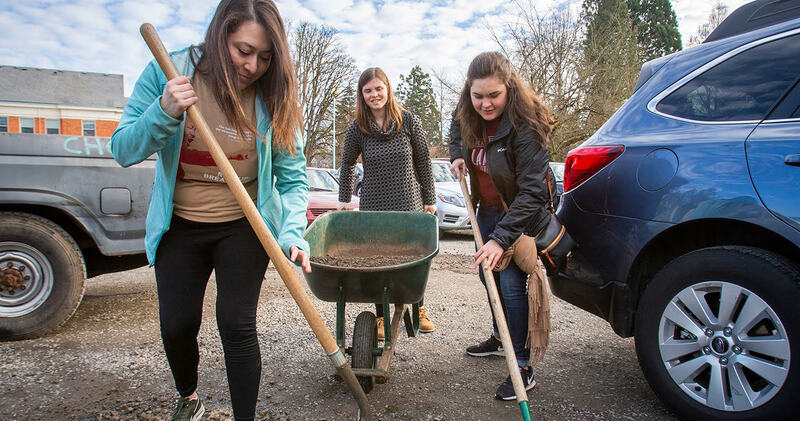 Students left campus Friday for Into the Streets, an annual community service day inspired by King’s vision and in the spirit of Willamette’s motto. 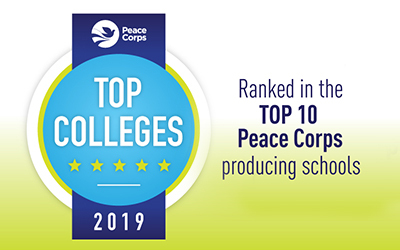 Phoebe Marcus-Porter ’20, one of three co-coordinators of the project, said service is one of the best ways students can give back to their community. “Students don’t necessarily have a lot of financial resources to provide, but we can provide time,” she said. At 10 locations across Salem, 160 students spent the afternoon packaging food donations at Marion-Polk Food Share, cleaning out classrooms at the YMCA and adding mulch to trails at Horses of Hope, an equine therapy center. 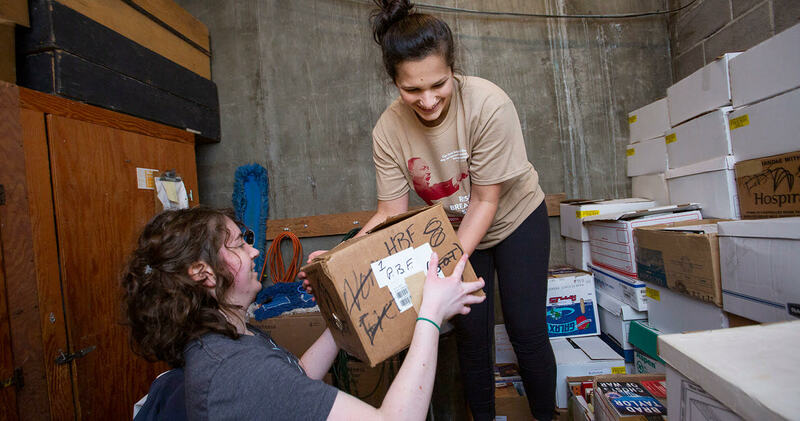 They also worked at the SOAR Center (Students Organizing for Access to Resources), a resource for free clothes, books and food in Shepard House that addresses students’ unmet basic needs. 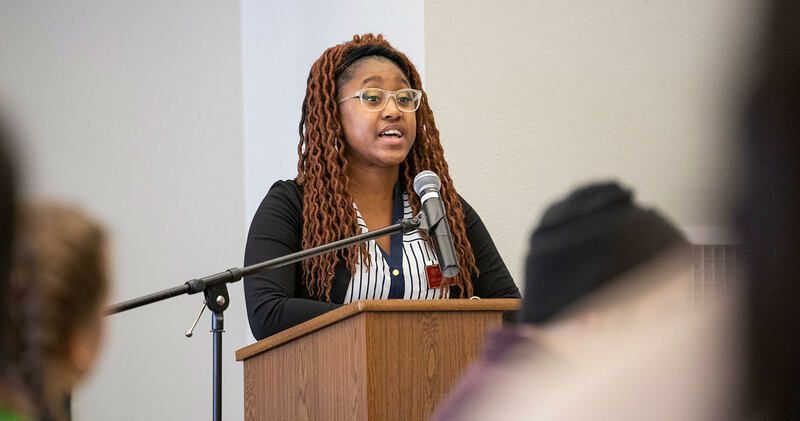 Associated Students of Willamette University President Akerah Mackey-Watkins ’19, who is also an active member of the National Association for the Advancement of Colored People, spoke to students before they volunteered about recognizing the relevance of King’s work today. 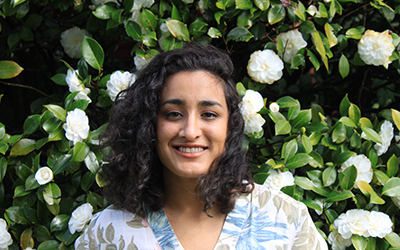 Bella Medina ’21, an Into the Streets coordinator, said the work Willamette students completed at the local organizations ultimately supports the people they serve, the majority of whom are people of color and in need of basic resources. Students returned to campus “eager to participate more and share their experiences, which has a positive effect” on Willamette, Medina said. Other related events include workshops led by life coach Dr. Kathy Obear, who offered ways students can create more inclusive and equitable spaces. A final event, a faculty colloquium by Associate Professor of Sociology Emily Drew titled, “Making Black Lives Matter on a historically white campus,” is at 3 p.m. Feb. 1 in the Oregon Civic Justice Center. 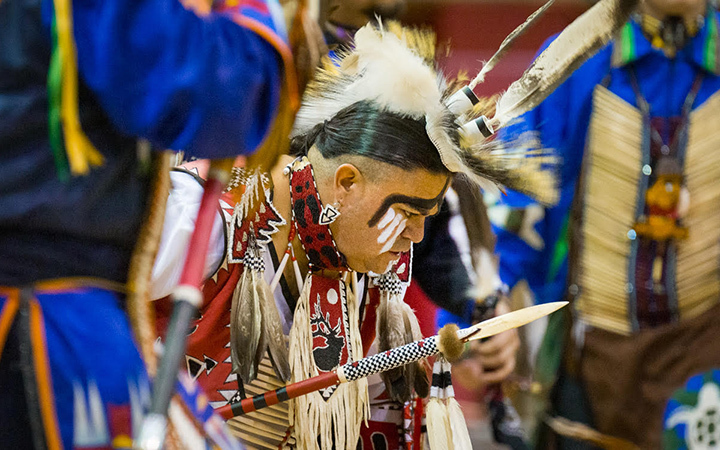 Native and Indigenous Student Union hosts pow wow for 17th year.